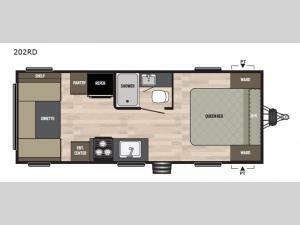 Check out this luxurious travel trailer by Keystone! Model 202RD features a comfortable walk- around queen bed in the front with plenty of wardrobe space for you to be dressed for any occasion. 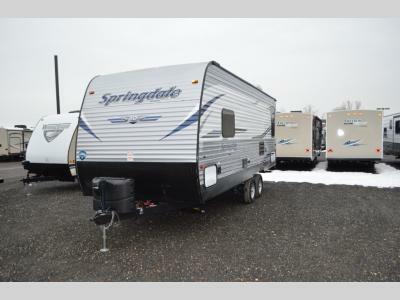 There is also an exterior pass through storage for you to easily access and keep your camping gear or other necessities. Meal time can be family time when you enjoy your meals at the u-shaped dinette, which can also be transformed into an extra sleeping space at night. The LED lighting throughout will highlight your way to the best camping trip!